1968 Revisited - NYU 1968 retrospective. A Visual Journey - Photographs by Lisa Law 1965-1971. Allen Cohen - San Francisco Oracle, Human-Be-IN, History of the Haight-Ashbury. Aspen - This is a web version of Aspen, a multimedia magazine of the arts published by Phyllis Johnson from 1965 to 1971. Each issue came in a customized box filled with booklets, phonograph recordings, posters, postcards - one issue even included a spool of Super-8 movie film. It's all here. Berkeley Barb - One of the earliest and most influential underground newspapers to serve the civil rights, anti-war, and countercultural movements. Launched on 13 Aug 1965, by Max Scherr. British Beat Boom 1963-1966 - UK rock and pop groups of the British Invasion. Chronology of San Francisco Rock 1965-1969 - From the Virtual Museum of the City of San Francisco. Classic Rock Photography - From the archives of Robert Altman. Colin's Haight-Ashbury Archives - Colin Pringle's archive of files about the Haight-Ashbury. Concise Bibliography of the Haight-Ashbury - Compiled by the staff of the Museum of the City of San Francisco. Digger Archives - History of the San Francisco Diggers (1966-1968 and beyond) with archive of scanned and rare Sixties ephemera including Digger and Free City Collective broadsides and manifestos. Farm, The - Includes historical overview from Miller and Bates' America's Communal Religions (Syracuse University Press, 1995). Free Speech Movement and Its Legacy - UC Berkeley social activism sound recording project. Haight Ashbury Free Clinics - Founded in 1967 by Dr. David E. Smith in the belief that health care is a right, not a privilege. Hippies Collection 1965-1972 - San Francisco History Center. This collection documents the counter-culture movement of the mid 1960's in San Francisco, the Summer of Love (1967), and local anti-war and racial equality movements, to a lesser degree. The Hippies Collection includes correspondence, newspapers, little magazines, poetry, monographs, clippings (from mainstream periodicals), ephemera. The bulk of the collection emanates from San Francisco, though some counter-culture publications from outside San Francisco and California are included. Ken Kesey and the Merry Pranksters - Timeline, posters, literature, discography. Also see Wikipedia article. Larry Keenan - 1960's - 1970's counter-culture images. Psychedelic 60s: Literary Tradition and Social Change - Maintained by the University of Virginia, Charlottesville. Red House Books - Sells out-of-print books on subjects like social movements of the 1960s, the Beat Generation. San Francisco Oracle Facsimile - A complete, full-color recreation in book form of all 12 issues of the legendary psychedelic newspaper originally published in the Haight-Ashbury during the Summer of Love. S.F. Heart - Dedicated to San Francisco and the promotion and practice of peace and love. Sixties Pop - 1960s British pop culture. 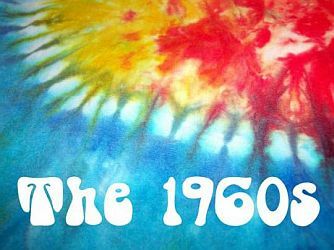 Sixties Project - A collective of humanities scholars using electronic resources to make available primary and secondary sources for researchers, students, teachers, writers and librarians interested in the Sixties. Summer of Love - Art of the psychedelic era. Summer of Love: Hippie Writers and Latter-Day Beats - From Literary Kicks. The Rock Poster Society (TRPS) - Organized group of rock poster collectors, artists, and dealers. The Sixties (And Their Aftermath) - Videotapes in the Media Resources Center, UC Berkeley. The Sixties: Primary Documents and Personal Narratives 1960-1974 - Brings the 1960s alive through diaries, letters, autobiographies and other memoirs, written and oral histories, manifestos, government documents, memorabilia, and scholarly commentary. With 150,000 pages of material at completion, this searchable collection is an important electronic resource for students and scholars researching this period in American history, culture, and politics. Timothy Leary (1920-1996) - Articles, interviews, writings. Vaults of Erowid - An online library of information about psychoactive plants and chemicals and related topics. Voices From the Underground - Radical Protest and Underground Press in the "Sixties ": An Exhibition - Exhibited at Fairfield University, Fairfield, Connecticut, Niselius Library, during the University's Fall 1999 academic semester. Wes Wilson - The father of the 1960s rock concert poster and one of the leading designers of psychedelic posters. Best-known for designing posters for Bill Graham of the The Fillmore in San Francisco, he invented a style that is now synonymous with the peace movement, psychedelic era and the 1960s. Wheeler's Ranch - A photo album. Who's Who of the Haight-Ashbury Era - A list of short (thumbnail size) biographies of people who were somehow involved with the events of the Haight-Ashbury era, 1965-1967. Whole World Was Watching - An oral history of 1968. Yippie Girl - The ongoing chronicles of Judy Gumbo Albert, an original member of the Yippies. Yippies (Youth International Party) - Wikipedia backgorunder. A radically youth-oriented and countercultural revolutionary offshoot of the free speech and anti-war movements of the 1960s. It was founded on 31 Dec 1967. This webpage last updated on Wednesday, January 6, 2016 3:32 PM.